Lori Danelle: maker of things: Look what Big Sister got into. . . Sometimes, Big Sis takes naps in our room for one reason or another. And sometimes, after the nap, we realize that our room may not be as toddler proof as we thought, nor did the little munchkin go straight to sleep like we would like to believe. Despite what the package says, it appears that Daddy's deodorant does, in fact, NOT go on clear. 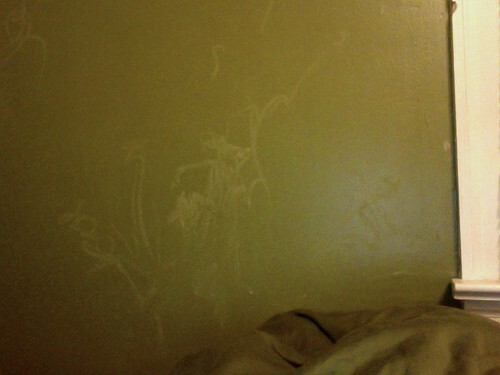 At least she didn't find a sharpie like the last time she wrote on our walls.. . .